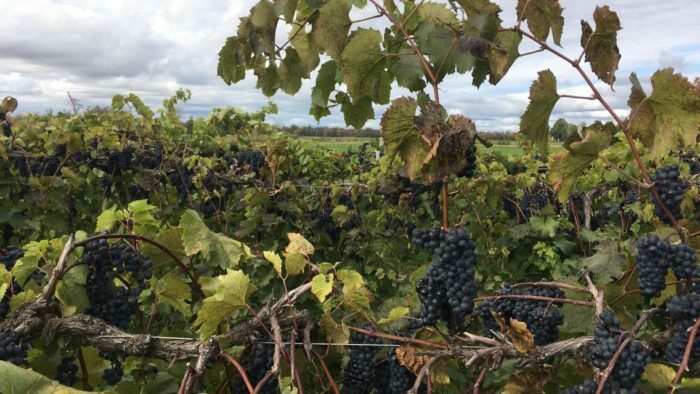 Wisconsin isn’t one of the places folks think about when we talk major wine-growing regions, but the area around Green Bay and Door County, known as the Wisconsin Ledge, is actually an American Viticulture Area. The growing characteristics here are similar to those in Napa Valley and it’s been noted as a prime grape-producing region. 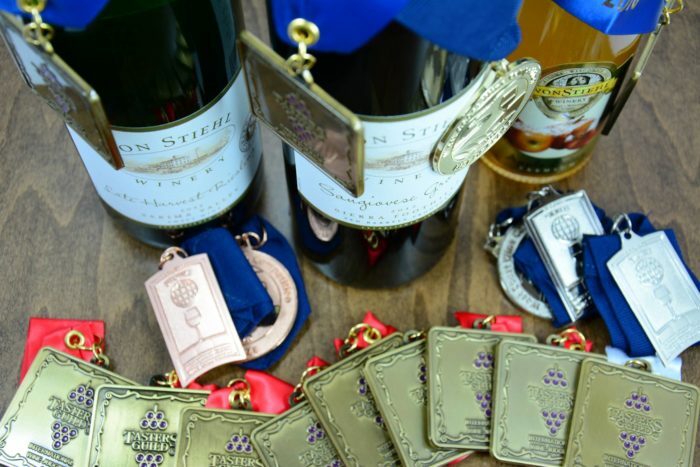 But long before the state became populated with vineyards and even long before a local vineyard worked to get the area noticed by the AVA, Von Stiehl Winery in Algoma was using the bounty of local fruit – mainly Door County cherries – to make truly delicious wines. Way back in 1967, Dr. Charles Stiehl forced the state of Wisconsin to create a licensing system for wineries and became the first officially licensed wine-maker in the state. 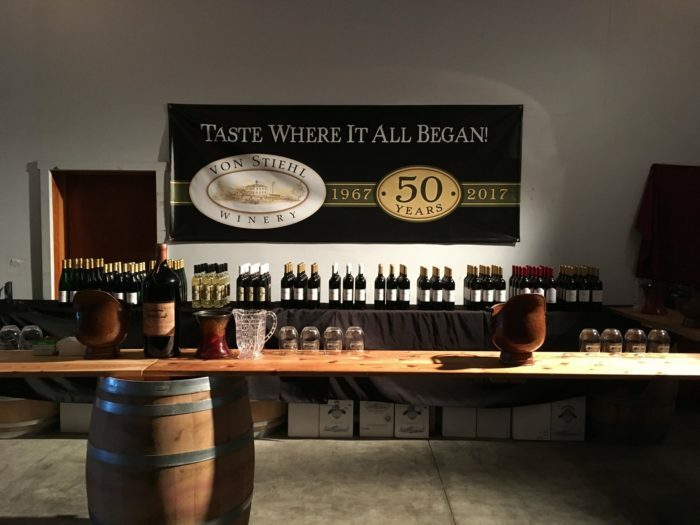 More than 50 years later, a different family is at the helm (they’ve been there for more than 30 years), but they’re still making amazing fruit wines and keeping up the history of this amazingly delicious and groundbreaking Wisconsin winery. 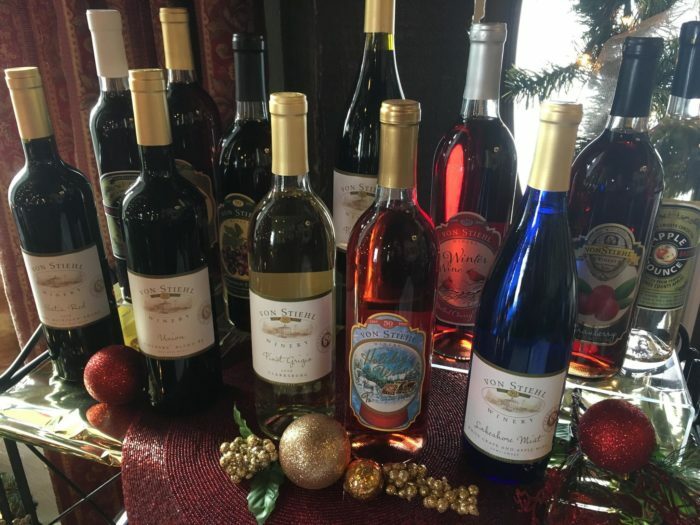 Located right on the water in Algoma, on the shores of the Ahnapee River just before it reaches Lake Michigan, this historic winery is located in a building with history of its own. Built in 1868 as a brewery, the main building, with the tasting room and underground tunnels, is on the National Register of Historic Places. 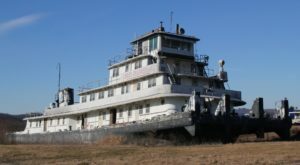 It was in disrepair and probably should have been torn down, but In the mid 1960s, Dr. Charles Stiehl purchased and restored the building to expand his hobby, making wine out of Door County cherries. This was before refrigeration, so you can bet there are still caves that were used for ice houses and other amazing details in this gorgeous building. 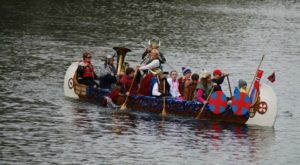 And of course these folks take advantage of this beautiful setting. 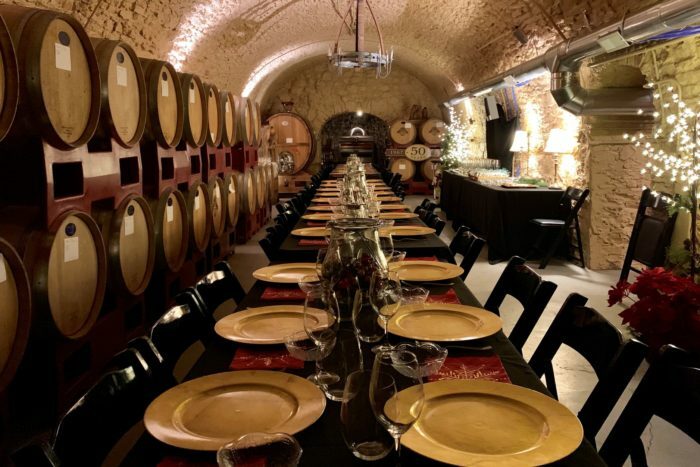 Can you imagine a tasting dinner in these cool old caves? Or holding a special event here? This would be one heck of a unique setting. Of course there's a tasting room here where you can sample all the goods - 30 wines, plus cider and Cherry Bounce. These folks have been doing this for awhile and they make some darn tasty wines. The current management are the sons of the folks who took over from Dr. Stiehl. One has a background in theater and production and he uses that to plan some truly fabulous events. 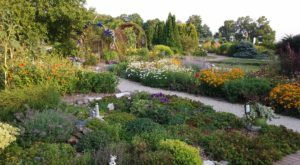 Von Stiehl's event calendar is always chock full of amazing things, from a giant pig roast to a fall harvest festival. There's never a shortage of reasons to visit. 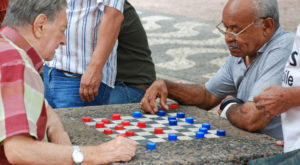 Doc sold the business to Bill and Sandy Schmiling in 1981. When Bill took over, there were four wines: sweet and dry cherry and sweet and dry apple that sold for $2.95 a bottle plus tax for a total of $3.00. 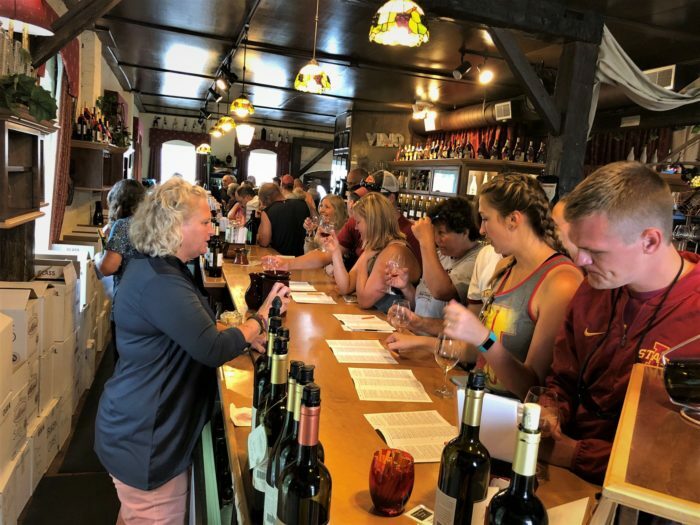 Today, there are more than 30 wines made by these folks and no one could blame you if you wanted to try them all - though maybe try not to do that all in one visit! 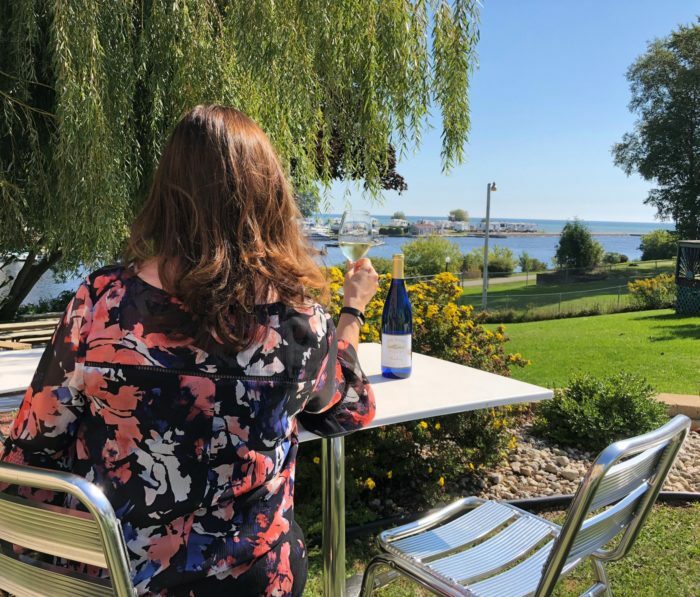 According to the Von Stiehl website, "Established in 1996 on Door County land that has been in the Schmiling family for over 100 years, the Stony Creek Vineyard was named after the meandering waterway it overlooks. 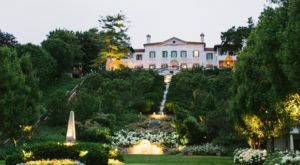 Three French-hybrid grape varieties, Marquette, Marechal Foch, and Frontenac, can be found in the estate bottled Stony Creek Rosé, Sylvester, and Dry Marquette wines. The vineyard is the oldest commercial vineyard located in Door County, just six miles north of the winery in the south end of Door County, and remains a primary grape supplier for our Wisconsin wines." Though the tasting room is quite nice, what really makes visiting Von Stiehl special is the fabulous backyard where you can relax on the patio with killer water views. They put on weekly concerts back here in the warmer months, but it's also a great place to just sit back, relax and unwind after a long day. Let's all be jealous of the folks in Algoma who have this right on their doorstep. 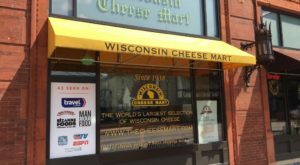 Von Stiehl has more than five decades of history here in Wisconsin and Dr. Stiehl was a pioneer in turning a home hobby into a viable industry here in Wisconsin. We definitely should all raise a glass - or two - in his honor. There's a reason these wines have won awards again and again. These folks have the experience and the passion to keep making some of the most interesting, flavorful and fun wines in the state. 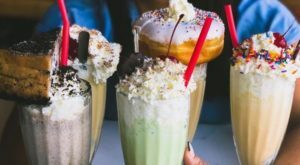 Visiting the source of all this goodness only makes sense. 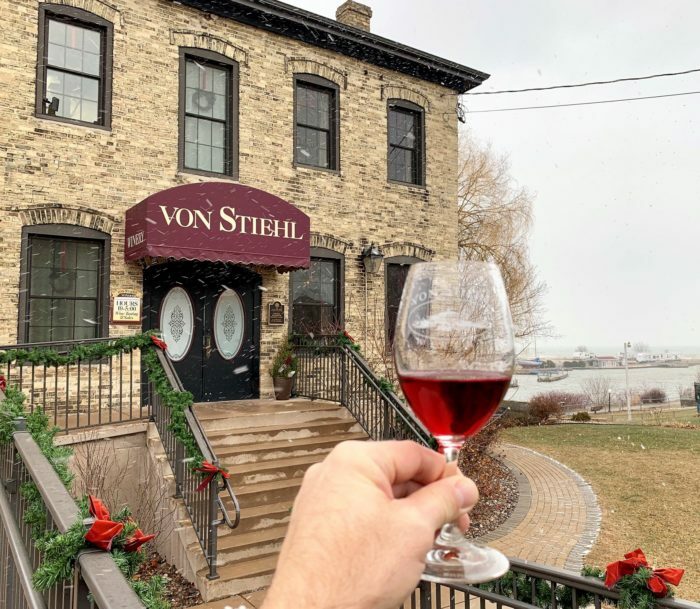 Plan to take a trip up to Algoma and kick back along the river to spend a day tasting and enjoying the greatness of Von Stiehl Winery. Von Stiehl Winery is located at 115 Navarino St., Algoma, WI 54201. Learn more about this delicious and historic vineyard on their website or by checking out their Facebook page. 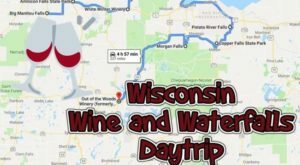 Wisconsin is chock full of amazing wineries and you’re going to want to make plans to visit them all. 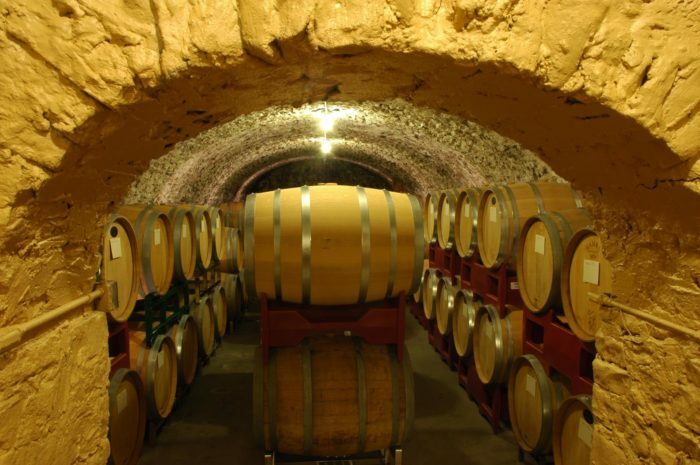 Get started using this list of amazing and truly gorgeous wineries in Wisconsin.